Shad Storness-Bliss, Commercial Pilot Flight Test, Langley Flying School. 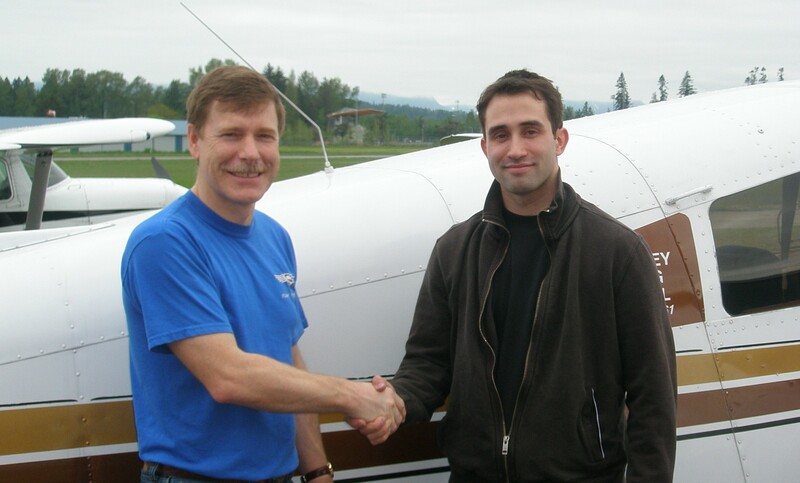 Shadrin Storness-Bliss with Pilot Examiner John Laing after the successful completion of Shad's Commercial Pilot Flight Test on May 15, 2008. 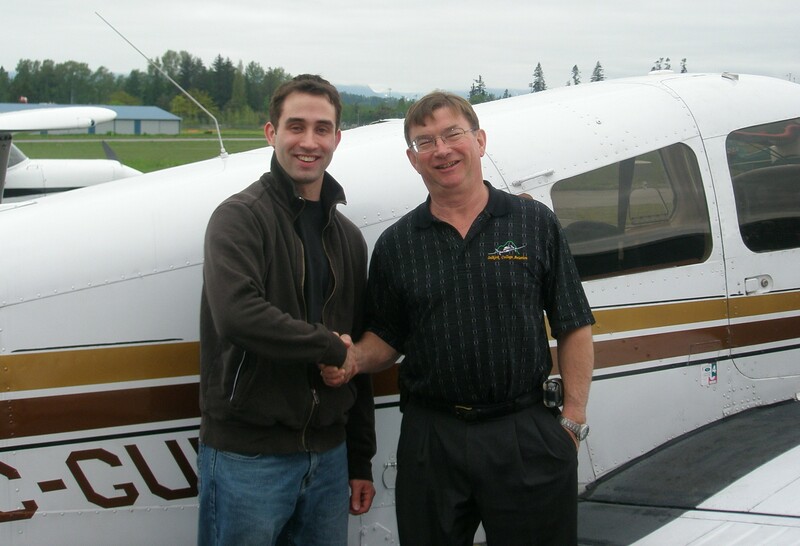 Congrats also to Shad's recommending Flight Instructor, Peter Waddington.